Nell Harper – Gimme a Break! Nell Carter (born Nell Ruth Hardy; September 13, 1948 – January 23, 2003) was an American singer and actress. Beginning her career in 1970, Carter started in theater; singing and later crossed over to television. Carter was perhaps best known for her role as Nell Harper on the NBC sitcom Gimme a Break! which originally aired from 1981 to 1987. Carter received two Emmy and two Golden Globe award nominations for her work on the series. 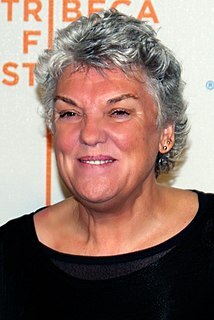 Prior to Gimme a Break!, Carter won a Tony Award for Best Performance by a Featured Actress in a Musical in 1978 for her performance in the Broadway musical Ain't Misbehavin', as well as an Primetime Emmy Award for her reprisal of the role on television in 1982. Born Nell Ruth Hardy in Birmingham, Alabama, she was one of nine children born to Horace and Edna Mae Hardy. When she was two years old, her father was electrocuted when he stepped on a live power line. As a child, she began singing on a local gospel radio show and was also a member of the church choir. At the age of 15, she began performing with the Renaissance Ensemble that played at area coffee houses and gay bars. On July 5, 1965, Hardy, then 16 years old, was raped at gunpoint by a man she knew who gave her a ride home from a performance with the Renaissance Ensemble. Hardy became pregnant and gave birth to a daughter, Tracey, the following year. Hardy attempted to raise Tracey alone, but found it too difficult. She sent Tracey to live with her elder sister Willie (Carter would later claim Tracey was the product of a short lived marriage, but revealed the truth in an interview in 1994). At the age of 19, Hardy left Birmingham and moved to New York City with The Renaissance Ensemble, changing her surname to Carter. While living in New York City, Carter sang in coffee shops before landing her first role on Broadway in 1971. Carter made her Broadway debut in the 1971 rock opera Soon, which closed after three performances. She was the Music Director for the 1974 Westbeth Playwrights Feminist Collective's production of "What Time of Night It Is". Carter appeared alongside Bette Davis in the 1974 stage musical Miss Moffat, based on Davis' earlier film The Corn Is Green. The show closed before making it to Broadway. She broke into stardom in the musical Ain't Misbehavin, for which she won a Tony Award in 1978. She won an Emmy for the same role in a televised performance in 1982. Additional Broadway credits included Dude and Annie. In 1979, she had a part in the Miloš Forman-directed musical film adaptation of Hair. Her vocal talents are showcased throughout the motion picture soundtrack. In 1978, Carter was cast as Effie White in the Broadway musical Dreamgirls, but departed the production during development to take a television role on the ABC soap opera, Ryan's Hope in New York. When Dreamgirls premiered in late 1981, Jennifer Holliday had taken over the lead. In 1981, Carter also took a role on television's The Misadventures of Sheriff Lobo, before landing the lead role of Nell Harper on the sitcom Gimme a Break!. The series was a ratings hit for NBC and earned Carter a Golden Globe and Emmy Award nominations. Gimme a Break! aired from 1981 to 1987. In August 1987, after the cancellation of Gimme a Break!, Carter returned to the nightclub circuit with a five-month national tour with comedian Joan Rivers. In 1989, she shot a pilot for NBC entitled Morton's By the Bay, which aired as a one-time special in May of that year. In this, Carter played the assistant to the owner of a banquet hall, and the focus was on her and her mad-cap staff. Alan Ruck and Jann Karam co-starred. NBC passed on the series development. In October of that same year, she performed "The Star-Spangled Banner" prior to Game 4 of the 1989 World Series, played at Candlestick Park in San Francisco, California. The following year, Carter starred in the CBS comedy You Take the Kids. The series, which was perceived as being the black answer to Roseanne due to its portrayal of a working-class African-American family, featured Carter as a crass, no-nonsense mother and wife. You Take the Kids faced poor ratings and reviews, and had a month's run from December 1990 to January 1991. During the early 1990s, Carter appeared in low-budget films, TV specials, and on game shows such as Match Game '90 and To Tell the Truth. She co-starred in Hangin' with Mr. Cooper from 1993 to 1995. In the mid-1990s, Carter appeared on Broadway in a revival of Annie as Miss Hannigan. She was upset when commercials promoting the show used a different actress, Marcia Lewis, a white actress, as Miss Hannigan. The producers stated that the commercials, which were made during an earlier production, were too costly to reshoot. Carter said racism played a part in the decision. "Maybe they don't want audiences to know Nell Carter is black", she told the New York Post. "It hurts a lot", Carter told the Post, "I've asked them nicely to stop it—it's insulting to me as a black woman." Carter was later replaced by Sally Struthers. In 2001, she appeared as a special guest star on the pilot episode of the new WB show Reba and continued with the show, making three appearances in season one. The following year, Carter made two appearances on Ally McBeal. The following year had her rehearsing for a production of Raisin, a stage musical of A Raisin in the Sun in Long Beach, California, and filming a movie, Swing. Carter's final onscreen appearance was in the comedy film Back by Midnight. It was released in 2005, two years after her death. Carter self-identified as Pentecostal. After Gimme a Break! began, Carter's life took a turbulent turn. She attempted suicide in the early 1980s and entered a drug detoxification facility around 1985. Her brother, Bernard, died of complications due to AIDS in 1989. Carter married mathematician and lumber executive George Krynicki, and converted to Judaism in 1982 (she had been born into a Roman Catholic family and raised Presbyterian). Carter filed for divorce from Krynicki in 1989; it was finalized in 1992. Carter had three children: a daughter Tracey and sons Joshua and Daniel. She adopted both Joshua and Daniel as newborns over a four-month period. She attempted to adopt twice more but both adoptions failed. In her first attempt, she allowed a young pregnant woman to move into her home with the plan that she would adopt the child, but the mother decided to keep her baby. In 1992, Carter had surgery to repair two aneurysms and married Roger Larocque in June. She divorced Larocque the next year. Carter declared bankruptcy in 1995 and again in 2002. She also endured three miscarriages. On January 23, 2003, Carter collapsed and died at her home in Beverly Hills. Her body was discovered that night by her son, Joshua. Per a provision in Carter's will, no autopsy was performed. Using blood tests, X-rays, and a cursory physical examination, the Los Angeles County Coroner's Office ruled that Carter's death was the likely result of "probable arteriosclerotic heart disease, with diabetes a contributing condition." She is survived by her three children. Carter is buried at Hillside Memorial Park Cemetery, Los Angeles. 1986 Amen Bess Richards Episode: "The Courtship of Bess Richards"
1989 227 Beverly Morris Episode: "Take My Diva... Please"
1992 Jake and the Fatman Ethel Mae Haven Episode: "Ain't Misbehavin'"
1996 Can't Hurry Love Mrs. Bradstock Episode: "The Rent Strike"
1997 The Blues Brothers Animated Series Betty Smythe (Voice) Episode: "Strange Death of Betty Smythe"
1997 Brotherly Love Nell Bascombe Episode: "Paging Nell"
1997 Sparks Barbara Rogers Episode: "Hoop Schemes"
2001 Blue's Clues Mother Nature Episode: "Environments"
2001 Seven Days Lucy Episode: "Live: From Death Row"
^ "Venus". Venus Magazine. 25 February 2019 – via Google Books. ^ "Nell Carter". Encyclopedia of Alabama. ^ "Nell Hardy Carter (1948-2003) • BlackPast". 6 March 2015. ^ "CNN.com - Actress-singer Nell Carter dies - Jan. 23, 2003". www.cnn.com. ^ Roman, James (1 March 2015). "Chronicles of Old Los Angeles: Exploring the Devilish History of the City of the Angels". Museyon – via Google Books. ^ Fleming, E. J. (18 September 2015). "Hollywood Death and Scandal Sites: Seventeen Driving Tours with Directions and the Full Story, 2d ed". McFarland – via Google Books. ^ Company, Johnson Publishing (31 May 1982). "Jet". Johnson Publishing Company – via Google Books. ^ Company, Johnson Publishing (25 September 1989). "Jet". Johnson Publishing Company – via Google Books. ^ Snauffer, Douglas (10 March 2015). "The Show Must Go On: How the Deaths of Lead Actors Have Affected Television Series". McFarland – via Google Books. ^ "InterFaith Family – Obituary of Nell Carter". ^ Riggs, Thomas; Company, Gale Research (25 February 2019). "Contemporary theatre, film, and television". Gale Research Co. – via Google Books. ^ Room, Adrian (10 January 2014). "Dictionary of Pseudonyms: 13,000 Assumed Names and Their Origins, 5th ed". McFarland – via Google Books. ^ McCann, Bob (2010). Encyclopedia of African American Actresses in Film and Television. McFarland. p. 74. ISBN 0-786-43790-1. ^ Crowther, Linnea (2012-01-23). "The Highs and Lows of Nell Carter". legacy.com. Retrieved December 12, 2012. ^ a b c Gold, Todd (February 28, 1994). "Oh, the Troubles She's Seen". People. people.com. Retrieved May 7, 2017. ^ "Stage, Television Star Nell Carter Dies at 54". 103 (7). Johnson Publishing Company. 2003-02-10: 49. ISSN 0021-5996. ^ "Nell Carter Joins 'Lobo' Series, And Ratings Go Up". Jet. Johnson Publishing Company. 60 (10): 54. May 21, 1981. ISSN 0021-5996. Retrieved May 7, 2017. 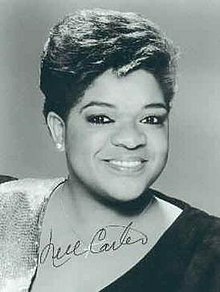 ^ "Nell Carter Returns To Nightclubs After TV Show". Jet. Johnson Publishing Company. 72 (21): 29. August 17, 1987. ISSN 0021-5996. Retrieved May 7, 2017. ^ Tucker, Ken (December 14, 1990). "You Take The Kids". Entertainment Weekly. ew.com. Retrieved May 7, 2017. ^ "'You Take The Kids' Put On Hiatus By CBS". Jet. Johnson Publishing Company. 79 (15): 62. January 28, 1991. ISSN 0021-5996. Retrieved May 7, 2017. ^ "Nell Carter Speaks Out on Annie Commercials". Playbill. playbill.com. May 22, 1997. Retrieved May 7, 2017. ^ "Sally Struthers Takes Over as Miss Hannigan in Annie Tour Jan. 5". Playbill. playbill.com. January 5, 1998. Retrieved May 7, 2017. ^ a b c Pfefferman, Naomi (2009-01-31). "'Pop-soul belter' Nell Carter, 54, devoted convert to Judaism, dies". jweekly.com. Retrieved December 2, 2012. ^ "Actress Nell Carter Dies at 54". Fox News. January 23, 2003. ^ Company, Johnson Publishing (22 June 1992). "Jet". Johnson Publishing Company – via Google Books. ^ Holden, Stephen (January 23, 2003). "Sitcom star collapses at home, dies at 54 – Gimme a Break!, Ain't Misbehavin – brought her fame". SFGate. sfgate.com. Retrieved May 7, 2017. ^ Boehm, Mike (March 5, 2003). "Ruling In Nell Carter's Death". Los Angeles Times. latimes.com. Retrieved May 7, 2017. ^ "Carter's death natural". Milwaukee Journal Sentinel. 2003-05-07. p. 12B. Retrieved December 2, 2012. ^ Wilson, Scott; Mank, Gregory William (2016). Resting Places: The Burial Sites of More Than 14,000 Famous Persons (3 ed.). McFarland. p. 122. ISBN 1-476-62599-9. Ain't Misbehavin' is a musical revue with a book by Murray Horwitz and Richard Maltby, Jr., and music by various composers and lyricists as arranged and orchestrated by Luther Henderson. It is named after the song by Fats Waller, "Ain't Misbehavin'". Mabel Elizabeth King was an American film, stage, and television actress, and singer. She is best known for her role as Mabel "Mama" Thomas on the ABC sitcom What's Happening!! from its premiere in 1976 until the end of its second season in 1978. King's next most remembered role is that of Evillene the Witch, a role she originated in the stage musical The Wiz and reprised in Sidney Lumet's 1978 film adaptation. She made recordings with Rama Records and Amy Records. Mary Alice Smith (born December 3, 1941), known professionally as Mary Alice, is an African American film, television, and stage actress. Alice has appeared in over fifty television shows and films in her career. Alice is best known for her roles as Leticia "Lettie" Bostic on NBC's A Different World (1987–1989) and Effie Williams in the 1976 musical drama Sparkle. Alice has also performed on the stage. She received a Tony Award for Best Featured Actress in a Play for her appearance in the 1987 production of August Wilson's Fences. Sydney Tamiia Poitier is a Bahamian-American television and film actress. 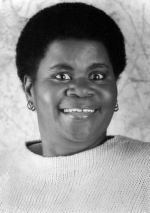 Shirley Ann Hemphill was an American stand-up comedian and actress. Rudith Lillian "Rudy" Huxtable is a fictional character who appears on the American sitcom The Cosby Show (1984–1992). Portrayed by actress Keshia Knight Pulliam, Rudy is the youngest child of Cliff and Clair Huxtable. First appearing alongside her family in the pilot episode "Theo's Economic Lesson", which premiered on September 20, 1984, Rudy matures from a precocious five-year-old girl into a teenager longing for independence throughout the course of the series' eight year-long run. Iris Winnifred King née Ewart (1910–2000), was born in Kingston, Jamaica, West Indies, on September 5, 1910. She attended the Kingston Technical High School in Kingston and later the Roosevelt University in Chicago where she studied political science and public administration from 1951-'53. Gloria Spencer was an American gospel singer who was billed as the "World's Largest Gospel Singer" due to a glandular condition that caused her to weigh 625 pounds (283 kg). Over the course of her four-year career, Spencer released only two albums. She was noted for her "sparkling soprano that could easily show a pop feeling or a gritty one." Spencer died of congestive heart failure in April 1976.